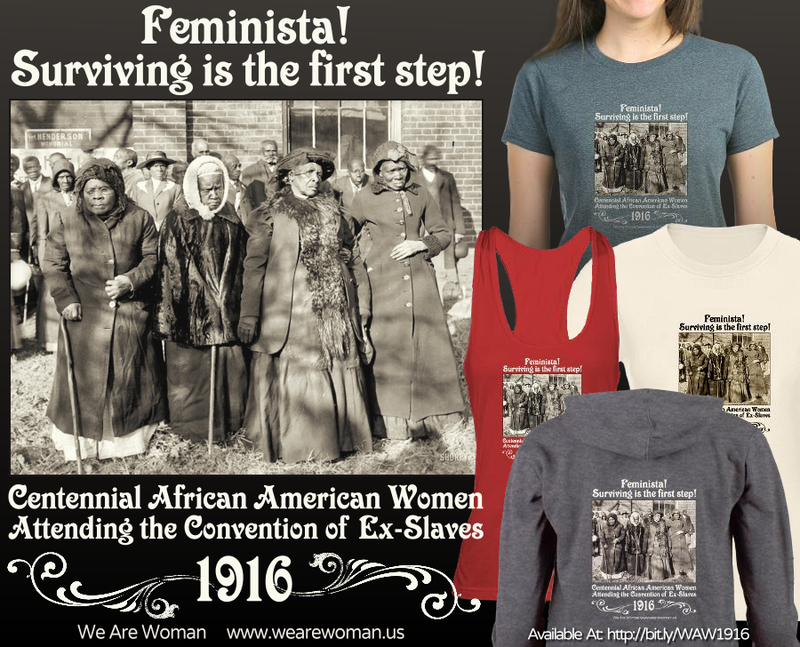 As we try to raise funds for this year's We Are Woman Constitution Day Rally, which will be held in Washington, D.C. on September 13th, 2014, we will be offering t-shirts and sweatshirts with the image of these determined women who were over 100 years old when they convened in Washington, D.C. for the Convention of Former Slaves. The photograph came to our attention recently when it was posted on the facebook page of 'For Harriet'. Upon seeing the photograph many women wanted t-shirts of the image, so we obliged. You can find them at our CafePress store CLICK HERE. We hope that you will like them as much as we do! A mass meeting will be held tonight at Cosmopolitan Baptist Church, Tenth and N streets northwest, to appoint committees and make other arrangements for the entertainment of delegates and visitors to the fifty-fourth annual convention of ex-slaves to be held here October 22-30 under the auspices of the White Cross National Colored Old Home Association of the United States and the National Evangelistic Ministers’ Alliance of America. Dr. Simon P. W. Drew, pastor of Cosmopolitan Baptist Church, will preside at the meeting tonight. A free dinner will be served for the ex-slaves each day during the convention. Former slaves of Gen. Robert E. Lee and “Stonewall” Jackson will be present. All persons desiring to aid in entertaining the old slaves are requested to send contributions or articles of wearing apparel to Mrs. Julia Palmer, 1513 Tenth street northwest. Copyright © 2014 We Are Woman • All Rights Reserved.